Getting ready to install the snap on fairings on my Model III/IV. 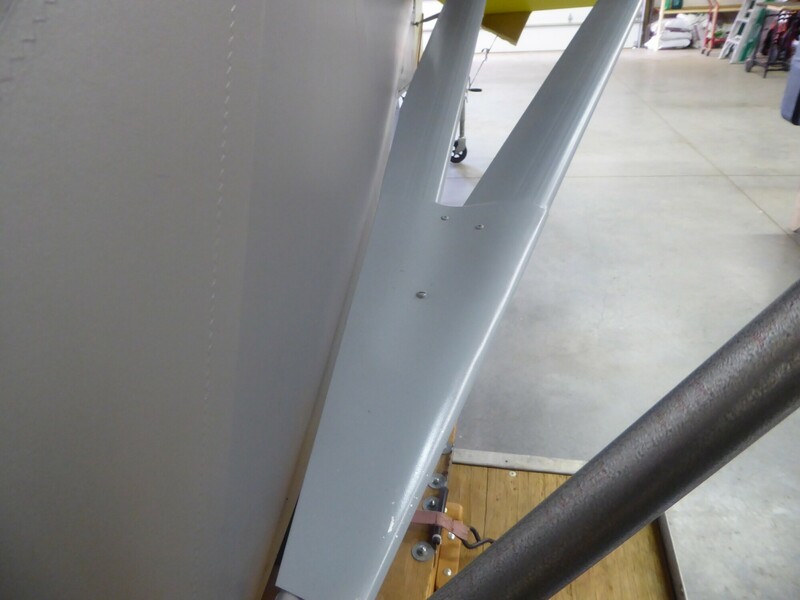 Part of the install has a portion of the inboard aft strut trimmed back to allow clearance for folding (such that it will not hit the fuselage fabric). I would like to install these as it sits on the bird (without folding the wings for trial an error, plus folding is not an easy evolution for this bird (long story)). Anyone have a dimension on how far up the strut to make the taper cut? 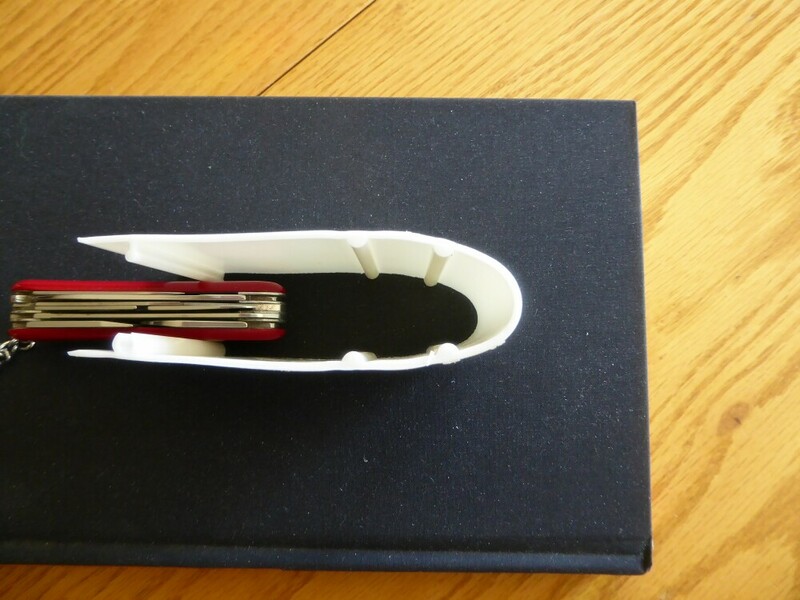 Also, the kit came with a a root cuff wrap as an option (aluminum) - where the two fairings merge at the V next to the fuselage. Anyone using this and have an installed picture they are willing to post? Thanks Ed. I got a good reply actually from the Kitfox site so I think I am good to go. Will do Ed. I will say, however the quality of these Kitfox struts are real nice. They snap together at the tail. will they work on 7/8, tube or 1 inch only? Maybe you need to call Kitfox and get an answer for everyone. They are for 1", however I will make up the additional diameter. Not sure what with yet. They do look like they may work fine as is though. Will let you know how it goes. My Model III has 7/8" struts. Do you know what they weigh per foot? I dont (yet), pretty light though (PVC). Will try to get a weight at some point today if I can. I installed the PVC fairing on the wing struts of my Classic 4 Kitfox and gained 12 pounds. That's 6 ounces per foot. Heavy by my standards but the increased performance out weighs the weight penalty. I gained 10 mph in cruise speed. From 75 mph to 85 mph. Thats with a 503...52 HP. Rate of climb also increased. I don't have number's to prove it but I can tell the difference. 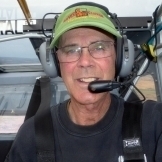 The first thing I noticed with the first flight with fairing on the wing struts was the sink rate was much less on power off glide approach to landing. 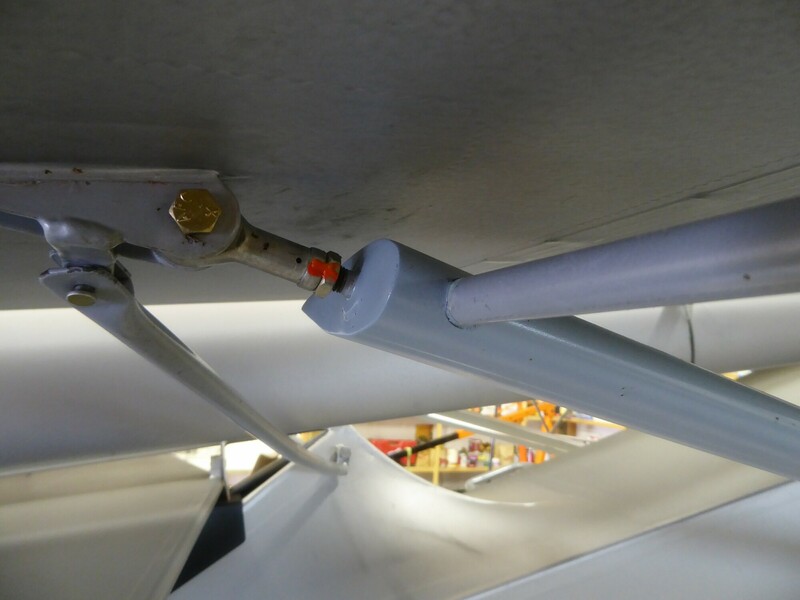 Did you install yours with the struts on or off the bird? I would like to do this in-situ if I can. Did you use adhesive? Just weighed the four 96" lengths (as a group). 14 lb total. 0.438 lb/ft (or 7 oz per foot). Pretty much what tcj was seeing. 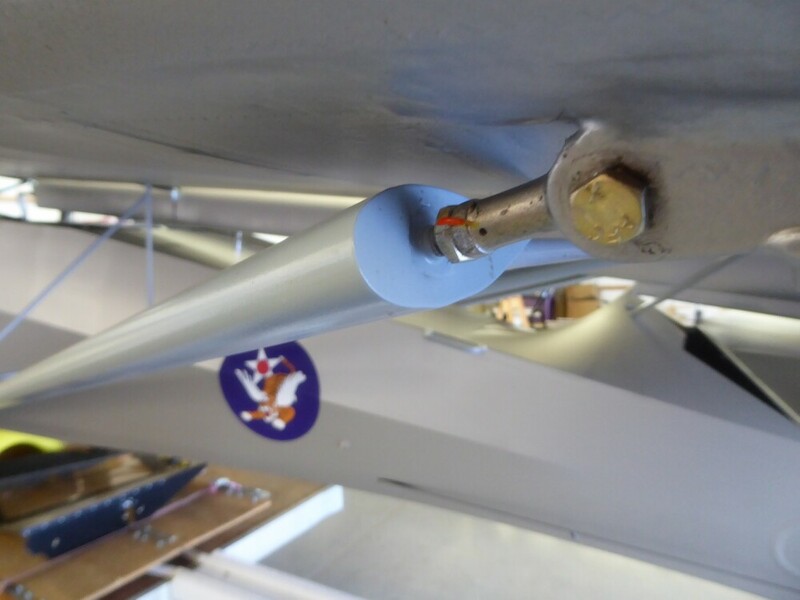 I installed them with the struts on the bird. 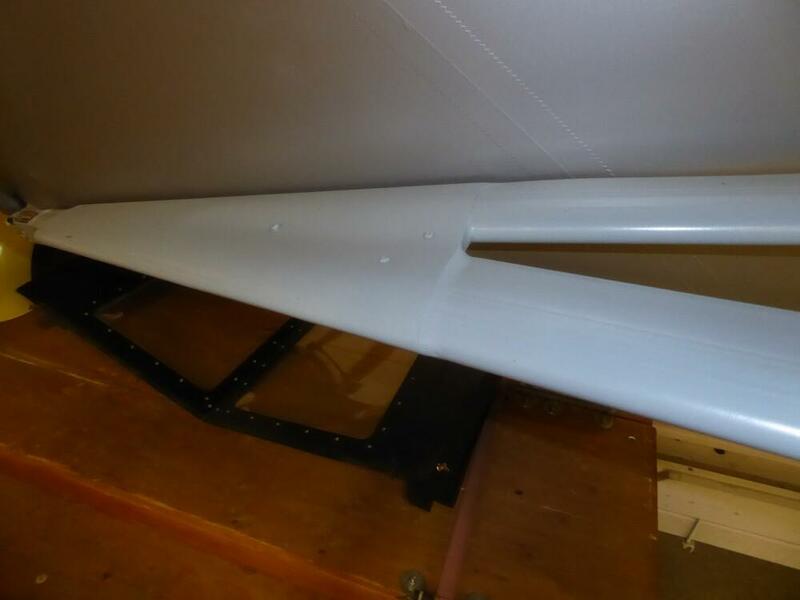 The most time consuming part of the job was masking the plane to paint the fairing after they were installed. I used construction adhesive as recommended by Debra at kitfox. I used Polyfibre Super Fill to fill the opening on the top ends, the holes I cut for the jurry strut clamps, the trailing edges cut for the wing folding taper, and to smooth the transition around the aluminum cuff at the bottom ends. For what its worth, when Debra installs the fairing she sands all the ridges smooth then paints. It looks real nice that way but is a lot of work. Also there are some people that just snap them on and good to go. They say the fairing self aligns in flight that way. Perfect and nice work! Thanks for posting. 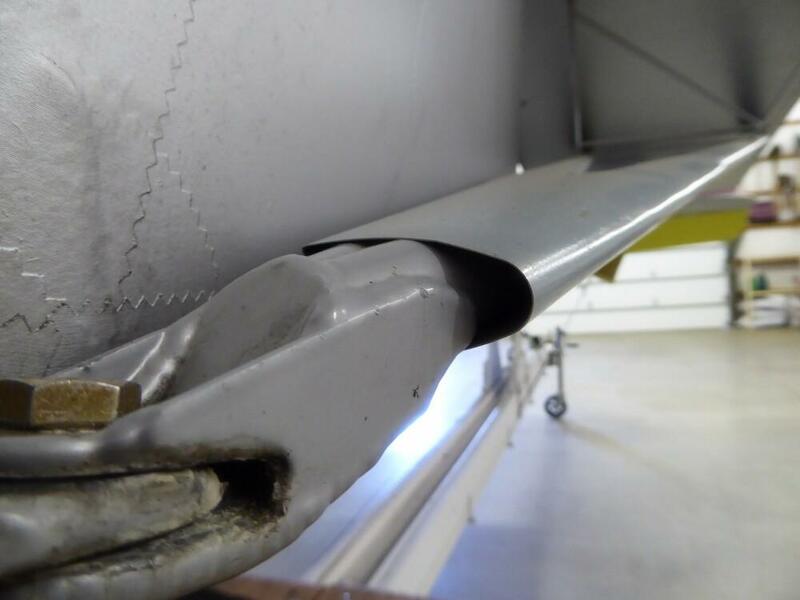 tcj, and others: Seems like you made a "permanent" installation of the fairings - Compared to Leni's post that he just snapped his together so he could remove them to check for corrosion on the struts. Did you provide any drain holes for condensation at the lower end? I guess your climate and method of storage would have a lot to do with your installation decisions. I don't know why the site made me "quote" in order to post on this, since that was not what I tried to do? I have some Piper J3 old style streamline tubing struts that were coated inside with linseed oil originally, but after corrosion was found in some struts, Piper required an expensive electronic inspection of them every few years, so many people went to the new type of strut which also had much larger rod end threads. Ed, good question about checking for corrosion and providing drain holes. I should have included that in my post above. I did a lot of thinking about this issue before bonding the fairing to the struts. 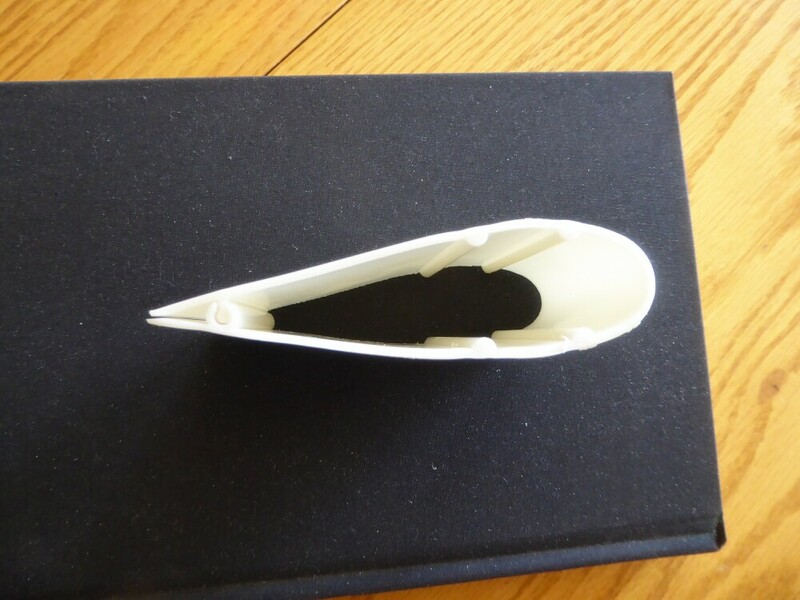 Here's some photos of the PVC fairing insides and the bottom cuff. 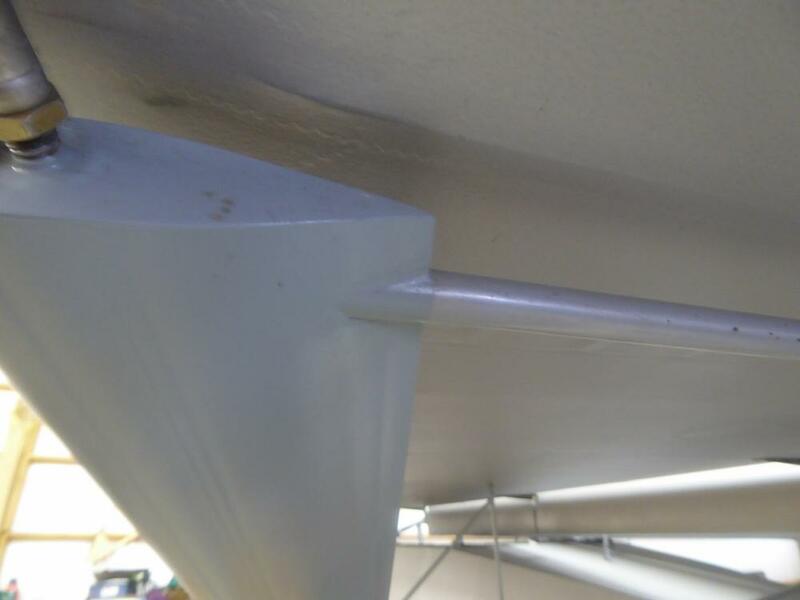 The 4 ridges align the fairing to the strut. I used a thin film of adhesive center between the two top ridges and one between the two bottom ridges to keep the fairing rigid on the strut. I sealed the fairing top ends, around the jurry strut clamps and the cuts on the trailing edges for wing folding to keep water out. If any water does get in it can run right down the inside of the fairing and out the open end of the cuff. Also the trailing edge can still be snapped open for a look inside if I ever want to. I'm also pretty sure the fairing would pop right off the adhesive if I was to pull the trailing edges very far open. 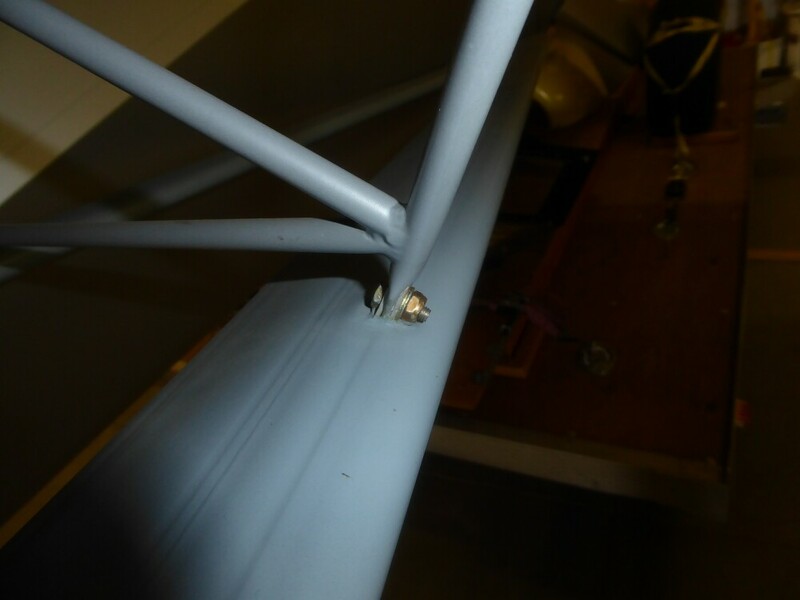 tcj how did you handle the cross tube on your aft fairings? I a thinking about drilling a 1/2 hole the slicing right ling the leading edge and gluing back together. To make up the difference in diameter (7/8" to 1") I am considering using some VHB (all weather double sided tape from DM). Here is a shot with some other options (basic 2 sided tape and also a thick foam single sided - though this would need to be closed cell, which this one wasn't). All options seem to hold the fairing firm from folding, yet still allow removal. Do you know how far up the aft strut you started your taper cut (from say the center of the pivot bolt hole? On trimming the fairing to fit around the cross tube. I can't remember. You could try the slit and see if that works. If it doesn't, you can drill the hole then trim the front of the fairing from the hole to the end the same width as the hole diameter. On close inspection it looks like that is what I may have done. 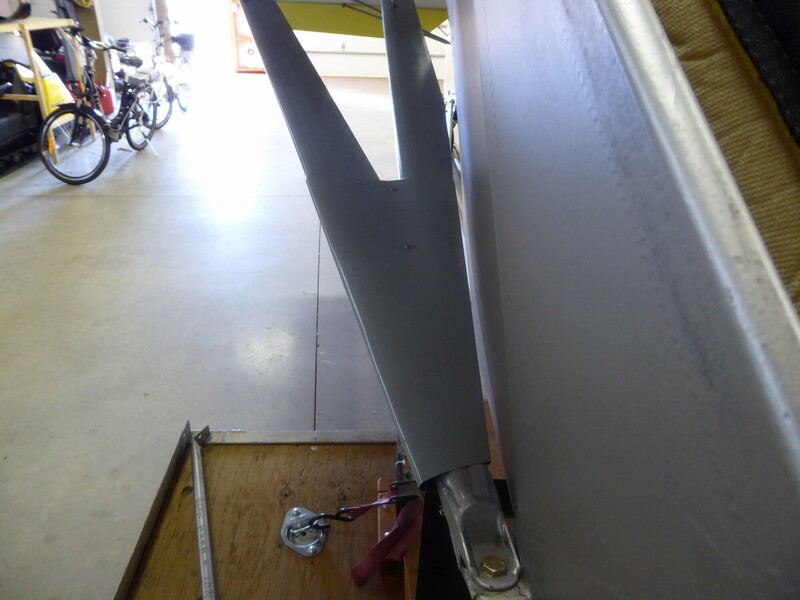 The aft fairing is trimmed 32 inches up the aft strut from the center of the pivot bolt. The fairing are pretty stiff and kind of difficult to open up enough to fit onto the struts. I think the thick tape would work fine and maybe just a couple inches of it spaced about every foot apart or so. I think they would grip tight enough once the trailing edges are snapped together that you wouldn't need any adhesive.